the #1 in creating customer value and the #1 in providing the most features and benefits. The award ranks the top companies in the industry based on five key areas; innovative element of the product, leverage of leading-edge technology, value-added features & benefits, increased customer ROI (return on investment) and customer acquisition potential. The WiPry products scored the highest in three key areas: innovative elements, value-added features, and increased customer ROI. 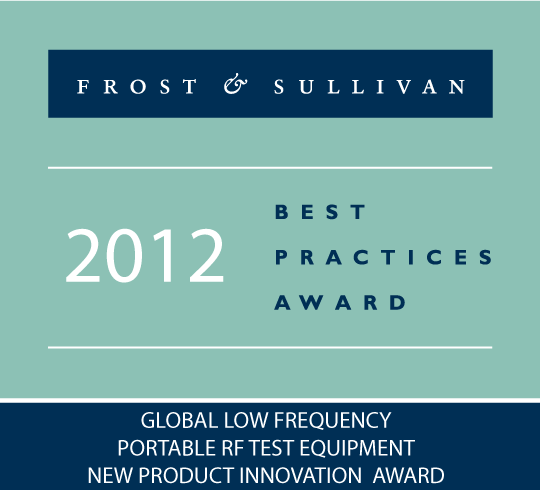 WiPry products are more than just the emerging standard in handheld RF test equipment for cellular communication planners, RF engineers, wireless network technicians and avid electronics hobbyists; it is a proven tool for success. “The unique value proposition found with Oscium’s WiPry family of products is the complete redesign of the interface experience with test equipment…Among the additional benefits that customers experience upon adopting Oscium’s product is the fact that the WiPry is modular. This factor gives the company an important competitive advantage over similar industry solutions, as it lowers operational costs in comparison with other products used,” Mariano Kimbara, Frost & Sullivan Measurement & Instrumentation Analyst.